As home builders and recent home buyers can attest, the focal point of most new houses is no longer the living room or dining room—it’s the kitchen. It’s the place where meals and memories happen. Whether you’re hosting a holiday get-together, a family reunion, or a dinner party, chances are you and your guests will end up spending plenty of time in your kitchen. Because of the increased focus on kitchens, many homeowners have opted to give those rooms the same decorative touch they give their bedrooms, living rooms and dining rooms. While the primary purpose of kitchens will always be preparing and preserving food, there’s nothing that says yours can’t be one of the most stylish rooms in your home—especially if you install the right window coverings. 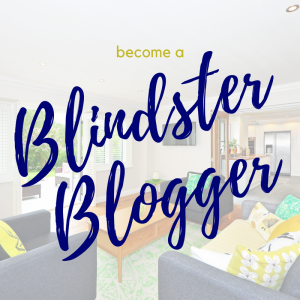 If you’re looking to hang new blinds or shades in your kitchen, but don’t know where to start, check out Blindster’s recommendations below—and if you have any additional questions, don’t hesitate to contact our customer support representatives. Kitchens are one of the primary rooms where many homeowners prefer ample natural lighting. If you like the look of a sunbathed kitchen in the morning to help get a jump-start on your day, you can’t go wrong with our 2” Premium Light Filtering Sheer Shades. Due to a manufacturing process that utilizes two layers of fabric sheers, these shades not only softly diffuse light and block up to 99 percent of UV rays, but they’re also highly effective at protecting your privacy when closed. Choose from 25 colors when placing your order, including Goldenrod, Wheat, Cloud, and Linen Ivory. Wood blinds are the perfect option for traditional, classic homes with the décor and style to match. The large slats of our 2 ½” Premium Wood Blinds look supremely elegant and preserve your view of the outdoors when open and are also highly effective at blocking out light and protecting your family’s privacy when closed. Custom order these shades to fit windows that are up to 84” wide and 96” high and make sure to browse our wide selection of colors, such as Verona, Cinnamon, and Sumatra. If you’re looking to make your home as eco-friendly as possible, you’ll love our Premium Bamboo Shades Group C. These shades are manufactured in the USA using real bamboo slats, grasses, and reeds to create a window covering that’s both stylish, natural, and effective at controlling the intensity and brightness of the light that enters your home. 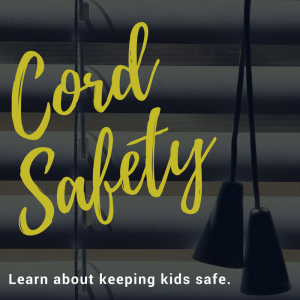 These shades are also highly versatile, with a wide range of options available when you place your order, including a privacy liner, a blackout liner, a top-down/bottom-up function, and a continuous cord loop option. Finally, enjoy a large range of wood stain colors, including Golden Grasses, Napa Valley, and Belmont-Walnut. At Blindster, we know that many homeowners want to preserve as much natural light as possible in their homes, while reducing heat, glare, and damage caused by the sun’s UV rays. Our Premium Solar Shades 3 Percent Open check all of those boxes and then some. Not only is this window covering one of our most elegant-looking shades, but it’s also one of our most popular due to its ability to filter natural light while preserving your view of the outdoors. Made with Phifer Sheerweave® 4400 and 2410 fabrics, it’s bacteria and fungus resistant, making it ideal for the occasional messes you may experience in your kitchen. Choose from several bold colors, including Charcoal, Pewter, and Granite. Transform your kitchen into the true showpiece of your home with our Premium Roman Shades Group C. A very elegant window covering, this shade is hand-crafted using the highest-quality fabric with a plain (flat with seams) or soft (hobbled) appearance depending on your preferences. This shade is available for custom fitting on windows up to 120” wide and 120” high. Features including a cordless or top-down/bottom-up function, as well as a deluxe 95 percent or premium 100 percent blackout liner allows for the ultimate in light control and privacy. 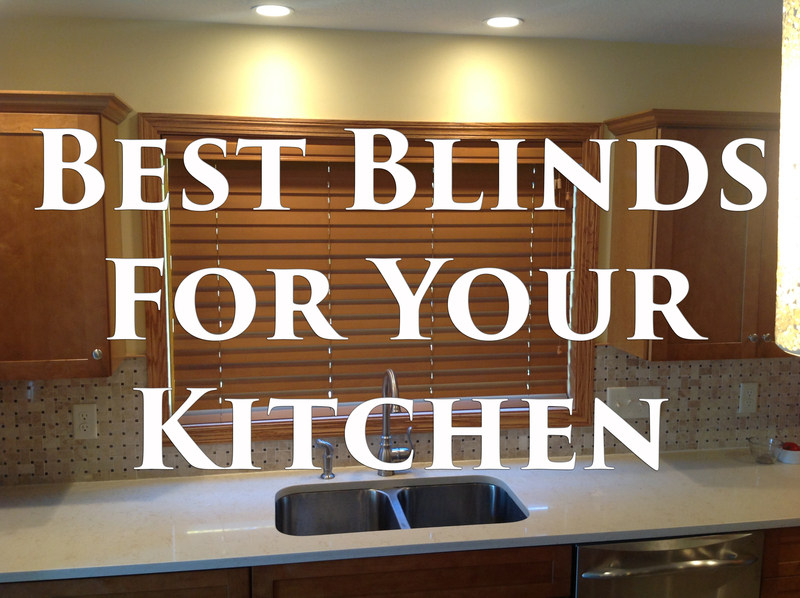 If your kitchen connects to your outdoor area, it can be difficult to find the right blinds or shades for your doors or windows. Our Faux Wood Vertical Blinds can cover a huge section of your kitchen—up to 129” wide and 129” long—while remaining incredibly easy to operate via a self-aligning wheeled carrier and self-lubricating parts. Their faux wood construction gives them the elegant appearance of real wood blinds, but with enhanced durability and an easier to clean surface. When ordering, choose between a wand or chain control and 16 unique colors, including Textured Maple, Textured Pearl White, and RealGrain Bamboo. We know that some homeowners prefer window treatments that simply get the job done at a low cost, without drawing too much attention or becoming the focal point of the room. If you value function and simplicity over features and options, our 2” Aluminum Blinds may be the perfect choice for your kitchen. 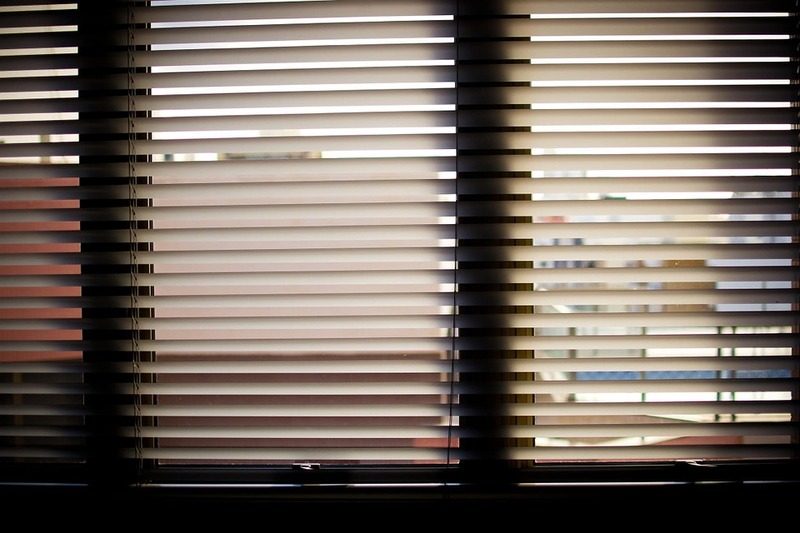 These window coverings feature large aluminum slats capable of blocking out the sun’s rays during the day, protecting your privacy at night, and letting in all the natural light you want when they’re opened. The baked enamel paint means they’re highly resistant to fading, and the heavy-duty aluminum used during manufacturing means they won’t bend or break easily. On the flip side, if options and control over your shades are both must-haves on your list, you can’t go wrong with our Deluxe Cordless Day/Night Single Cellular Shades. The top shade has a filtering effect, allowing beautiful and diffused light into your kitchen, while the bottom shade is blackout, eliminating virtually all outside light. This gives you the ultimate control over your kitchen’s lighting and your family’s privacy. Enjoy the deluxe cordless system when operating this window covering and choose from distinct colors of soft fabric, including Cool White, Ivory Beige, Antique Linen, and Espresso. Hello Debbie, I was unable to find your account using your name or email. 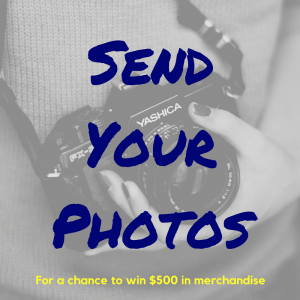 If you could please provide your order number, or if you would prefer call us at 888-256-8672, we will help you with this issue. Which vertical blind shade would match the best with Antique Linen Deluxe Cordless?